We provide independent, science-based environmental and rural consultancy and contracting services to a diverse range of organisations in the private and public sectors, throughout the UK and internationally. Our environmental specialists pride themselves on their reputation for achieving sensitive and sustainable balance between the needs of wildlife, the environment and man. Our core disciplines focus on the interaction of man with the living, growing environment and ensuring its future sustainability, together with a range of rural development and agricultural services. 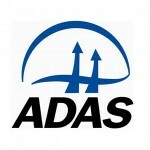 ADAS has more than 700 environmental and rural development specialists, operating from a network of offices and research sites throughout the UK. ADAS staff are proud to work within a clearly defined set of values and beliefs, which underpin all our activities.